If your form is not available below – please use the forms tab in your MyFAO account and/or stop in the Financial Aid Office. Copy of DD214: A DD-214 is issued to military members upon separation from active service. DD-214s were issued to separated service members beginning in the 1950’s. The term “DD-214” is often used generically to mean “separation papers” or “discharge papers”, no matter what form number was used to document active duty military service. If on the FAFSA you indicated you were a Veteran and it was not confirmed by the Department of Education most likely because you were recently discharged we need a copy of your DD214 to override this. Copy of Father’s Social Security Card: Dependent Students who complete a FAFSA and put in the Father’s SSN on the FAFSA may be required to give us a copy of the SS Card because it was not verified with the Social Security Administration. We will use this copy to verify the number or correct it if you put the wrong number on the FAFSA. Copy of Mother’s Social Security Card: Dependent Students who complete a FAFSA and put in the Mother’s SSN on the FAFSA may be required to give us a copy of the SS Card because it was not verified with the Social Security Administration. We will use this copy to verify the number or correct it if you put the wrong number on the FAFSA. Free Application for Federal Student Aid: This is the FAFSA. We strongly encourage all students to complete the FAFSA by our preferred date of March 31 st. If you do not wish to complete the FAFSA just write on our letter that you are not completing it or call us to stop asking you to complete the FAFSA. Parent W2 Form: Dependent students who complete the FAFSA may be asked for this document. If you did not fill in the Father’s or Mother’s earnings on the FAFSA we will ask you for the W2. We will need this to complete your Verification and complete your Financial Aid Award. 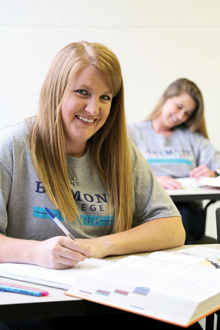 Please complete Student Loan Counseling: If you are awarded a Federal Stafford Loan you must complete a Student Loan Counseling each year at Belmont College. You can complete this online by going to https://studentloans.gov/myDirectLoan/index.action. Selective Service Verification: If you are a man ages 18 through 25 and living in the U.S., then you must register with Selective Service. It’s the law. You can register at any U.S. Post Office or you can register online by going to https://studentloans.gov/. Many times females receive this request because they forget to answer the question on the FAFSA are you a Male or Female. If you are a Female and we ask you for this you need to go to https://fafsa.gov/ correct your FAFSA. If you have difficulty contact us to assist you. Student W2 Form: Students who complete the FAFSA may be asked for this document. If you did not fill in the Students or Spouse’s earnings on the FAFSA we will ask you for the W2. We will need this to complete your Verification and complete your Financial Aid Award.